The 18 lawmakers of the Ondo State House of Assembly who purportedly signed the impeachment notice used to effect the removal of the erstwhile Speaker of the house, Bamidele Oleyelogun and his deputy, Iroju Ogundeji, have petitioned the Inspector General of Police, Ibrahim Idris, over the invasion of the assembly complex by hoodlums on the day of the impeachment. In the petition signed by the Speaker, Rt. Hon. Olamide George, his deputy, Abimbola Fajolu and the Majority Leader of the House, Olugbenga Araoyinbo, the lawmakers alleged threat to live, assault, abuse of authority by the Commissioner of Police, Gbenga Adeyanju, the state governor, Oluwarotimi Akeredolu as well as the state chairman of APC, Ade Adetimehin. According to the letter, which was also copied to the presidency and obtained by DAILY POST, the lawmakers alleged that after the plenary where Oleyelogun and Iroju had been impeached, the commissioner of police and the state chairman of APC had maintained that Gov. 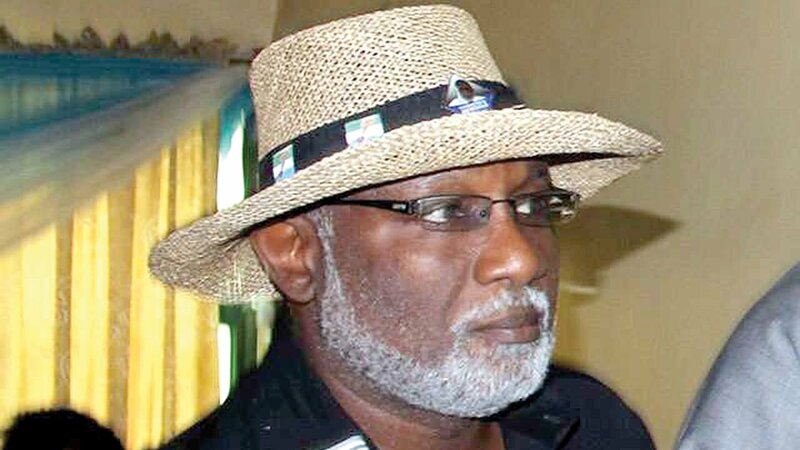 Akeredolu has given the order to â€œevacuate and flushâ€ all members who took part in impeachment. They also alleged that while thugs suspected to be members of the National Union of Road Transport Workers, NURTW invaded the house and attacked lawmakers, workers of the assembly and journalists alike, the commissioner of police only stood aloof without ordering his armed men to repels the attack. The petition reads in parts, â€œWe sat in the House of Assembly of Ondo State on Friday, 9th November, 2018 for the purposes of conducting House businesses among which was the removal of Rt. Hon. Oleyeloogun Bamidele and Iroju Ogundeji, erstwhile Speaker and Deputy Speaker respectively. â€œAfter new Speaker and Deputy Speaker had emerged, the former Speaker stormed the Chamber along with thugs and proceeded to disrupt the proceedings by physically assaulting Hon. Mrs Jumoke Akindele whom he had apparently learnt was the Protem Speaker as well as some other members. â€œWe suddenly saw the Chairman of APC in the state, Ade Adetimehin who came threatening that he has the authority of the Governor, Mr. Oluwarotimi Akeredolu to deal with anyone who would not heed his plea to return the erstwhile Speaker, Hon. Oleyeloogun to office. â€œFollowing closely after this was the Commissioner of Police, Ondo State Command, Mr Gbenga Adeyanju who stated clearly that he had express instructions of Governor Akeredolu to â€œevacuate and flushâ€ out every member from the House by all means possible. While stating that since the plan of using the police to chase them out of the hallowed chamber of state legislature, the lawmakers alleged that the chairman of NURTW in the state, Jacob Adebo popularly known as â€œIdajoâ€ was called in alongside his boys. â€œThe Chairman of the APC, the former Speaker and the CP had a 60seconds discussion at the Speakerâ€™s Conference room, as subsequent event would show they have invited and summoned via telephone calls the chairman of the Ondo State Chapter of the NURTW, Mr Jacob Adebo, A.K.A Idajo who came into the House of Assembly with not less than two hundred thugs who came with different sizes of gun, axes, machetes, charms, cudgels, broken bottles and other dangerous weapons and immediately started shooting uncontrollably, sporadically inside the assembly complex attacking everybody violently. â€œThey destroyed several vehicles and even structures worth millions of Maura, beat up mercilessly hundreds of people, as we speak honourable members, staff and visitors to the assembly complex are hospitalized in different locations across the state receiving treatment as they battle for survival. â€œIt is instructive that in spite of heavy presence of the police officers, the CP who had showed his disaffection and unsatisfactory conduct stood arms akimbo supervising the thugs as the violent acts were playing out without lifting a finger to stop or even attempt to control them. â€œAll the police men and officers simply looked on. Those we turned to informed us that they had instructions from the CP who in turn had instructions from the Governor not to intervene as the NURTW thugs had a field day. They, however, called on the IGP to protect them from further attack as their safety can no longer be guarantee with Adeyanju as Ondo State Commissioner of Police. While calling for the arrest of â€œIdajoâ€ the lawmakers who have not been to the assembly chambers since the impeachment saga also emphasized that the duo of the governor and the state chairman of APC should be investigated for the alleged role played during the crisis.